Knitted five-finger thermal protection safety gloves. 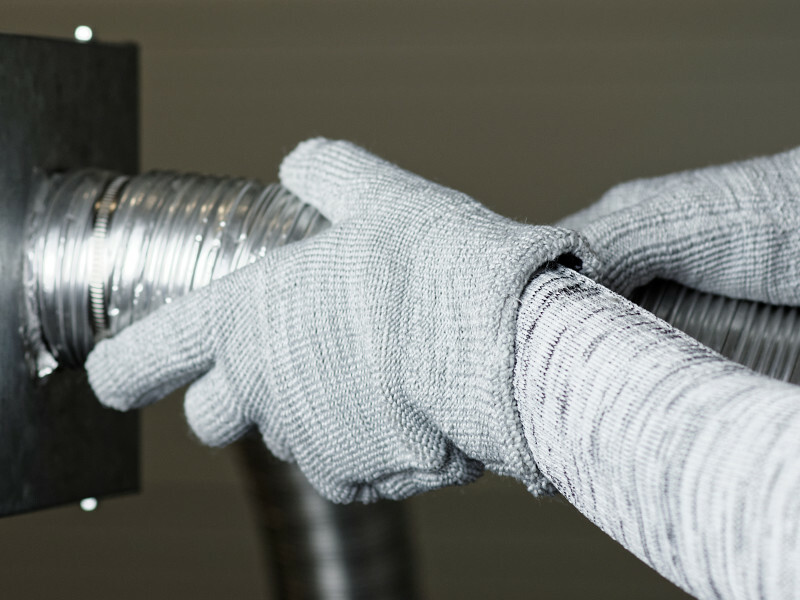 A series of heavyweight gloves guaranteeing protection against increased temperatures ranging from 250°C to 350°C, as well as against mechanical hazards. The gloves of this line are 2-ply gloves with outer shell made of the para-amid Kevlar® yarn and the liner made of 100% cotton. Thus, they guarantee high comfort of work without the risk of skin irritations even in long-term use in increased temperatures. These products are characterised with very high protection parameters while preserving the comfort of work. The gloves belonging to the category III of the personal protective equipment are controlled annually by the notified body in order to guarantee the homogeneity of production. They are also available in one-finger version or in non-standard lengths. Kevlar® is registered trademark of DuPont. Knitted five-finger thermal protection safety gloves. 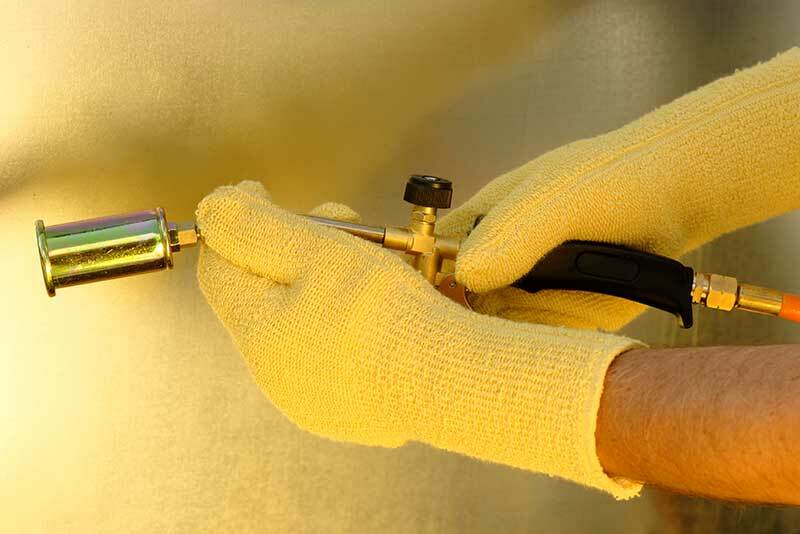 A series of heavyweight gloves guaranteeing protection against increased temperatures ranging from 100°C to 250°C, as well as against mechanical hazards. Gloves of this group are made of cotton or cotton and polyester terry cloth using a special method of seamless knitting. They are characterised with very good parameters while preserving high comfort of work, and they are skin friendly. Gloves made of 100% cotton (ROBF and ROBFM) were granted the Polish National Institute of Hygiene certificate allowing them to be used in direct contact with food in the bakery and confectionery industry. They are also available in one-finger version or in non-standard lengths.